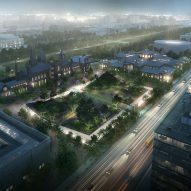 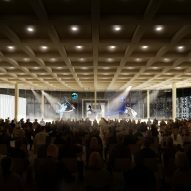 Architecture firm BIG has updated its plans for the revitalisation of the Smithsonian Institution campus in the US capital, after the initial designs sparked opposition. 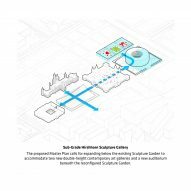 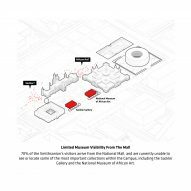 BIG's $2 billion proposal – which involves lifting up two corners of the Enid A Haupt Garden and create entrances to an underground concourse connecting the campus' museums – was revised following years of public consultation. 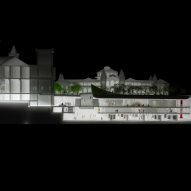 Though the upturned corners remain, the area where the landscape was to be lowered to meet the subterranean spaces is brought back up to ground level in the updated scheme. 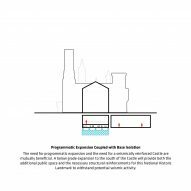 A bridge will now span a slice in the terrain linking the upper and lower levels. 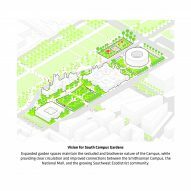 The landscape design for the public space has also been altered to more closely resemble the current gardens, which are popular with locals and tourists. 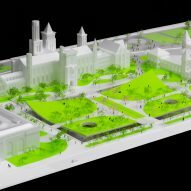 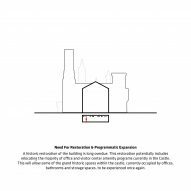 "Since our last proposal, we've been listening very closely to the public," said BIG founder Bjarke Ingels. 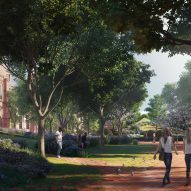 "We wanted the general feeling and fondness for the Haupt Garden to remain the same while also increasing its enjoyment and use, offering educational elements and after hour programs." 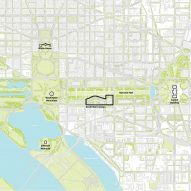 The firm's masterplan involves upgrading facilities, access and links across the Smithsonian's South Mall campus, which includes a collection of museums that run along the southern side of the National Mall and front Independence Avenue. 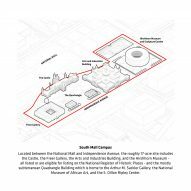 These include the historic Smithsonian Castle, the Arthur M Sackler Gallery and the National Museum of African Art – all arranged around the Haupt Garden and joined by a concourse buried beneath. 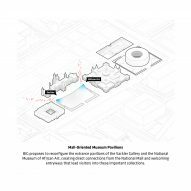 BIG's plans include an expanded visitor centre and new education space, which will be accessible from the Mall via descending walkways, and the reconfiguration of the entrance pavilions to the African Art Museum and the Sackler Gallery. 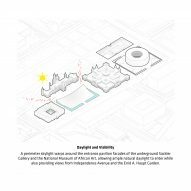 "We also want to make more accessible some of the hidden treasures underneath the Haupt Garden – the National Museum of African Art and the Sackler Gallery – which are so well hidden that they're under-enjoyed compared to the value they represent," Ingels said. 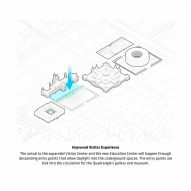 "If we can make them more accessible, more people might be tempted to explore." 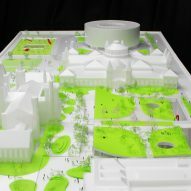 BIG unveiled its proposal for the campus in November 2014, after the Copenhagen and New York-based firm was selected for the project the year before. 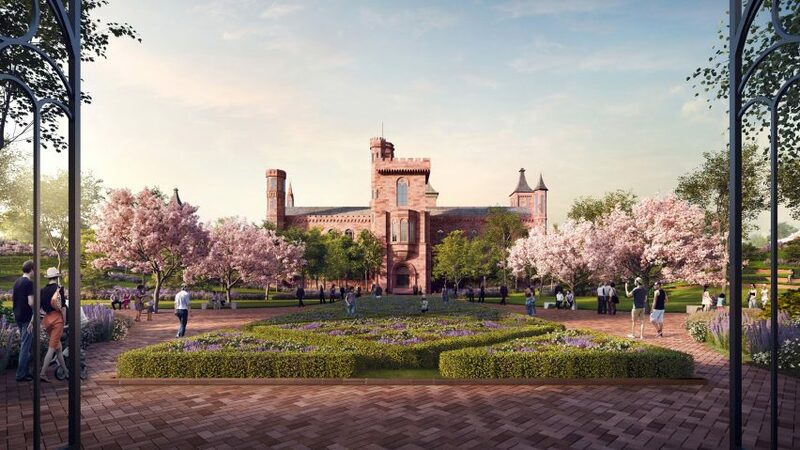 But a petition was launched in April 2016 that opposed demolishing parts of the Haupt Garden, which opened in 1987 and replaced an older garden dating back to 1976. 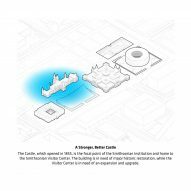 Work on the campus overhaul is due to begin in 2021, with the renovation and structural reinforcement of the castle. 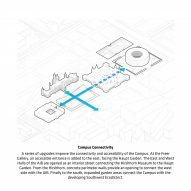 BIG has several ongoing projects across the US, including an entertainment complex in Austin, a mixed-use development in Los Angeles and a handful of buildings in New York City. 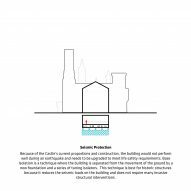 Recently announced were a scheme to protect a San Francisco creek from flooding and a new Google campus in Sunnyvale, California, in addition to the vast complex for the tech company that BIG is working on with Heatherwick Studio. 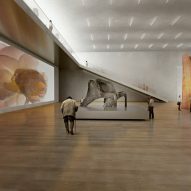 Images are by BIG and Brick.